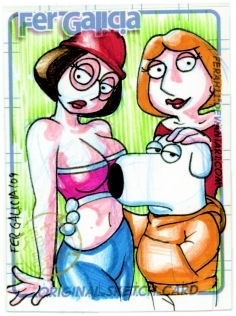 meg,lois,brian sketchcard. atrist sketch card. Wallpaper and background images in the 恶搞之家 club tagged: family guy brian meg lois.